Walter John Badans was born to parents Edward Badans and Mary Jane Knight on 7 July 1895 at Jamberoo. 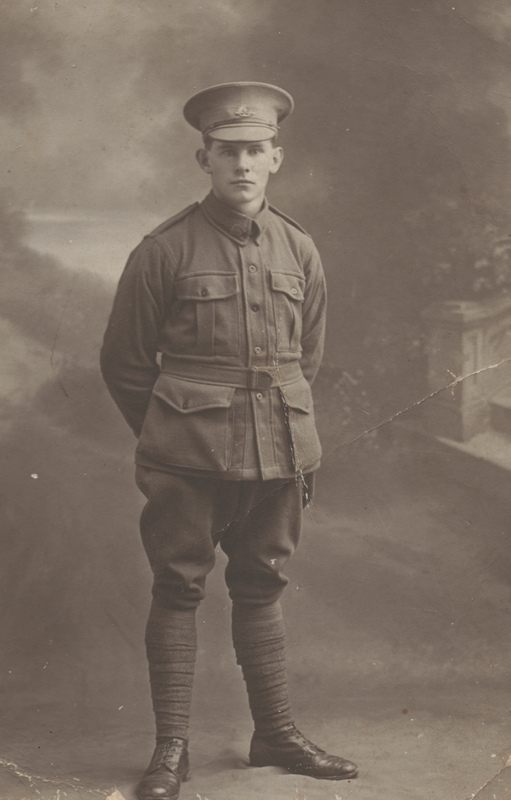 At the height of World War I, on 1 June 1916, Walter joined the Australian Imperial Force in the 13th Battalion, and on 7 October 1916 embarked on the S.S. Ceramic, headed for Plymouth in England. Here Walter arrived on 21 November 1916 On 10 June 1917, whilst serving in France, Walter received a gunshot wound to his right leg. He returned on the H.S. Jan Breydel on 15 June 1917 and was admitted to the War Hospital on Warren Road, Guildford on 16 June 1917. Walter married Margaret Guthrie of Sydney and they farmed with Walter’s brother Roy for a short while, and then moved to “Range Farm” where they continued farming for a few years prior to moving to Wollongong. Here they remained for the rest of their lives. Walter and Margaret had one son, Russell. Dorothy O'Keefe, the niece of Walter, remembers him returning from the war a sick man. He has been gassed and wounded. He resumed work on a dairy farm in a small way in Jamberoo.